1. Right speech : what is right speech? Right speech is not speaking lies; right speech is avoiding idle talk or gossip; right speech is not slandering; right speech is avoiding harsh speech; thus anything spoken that is morally correct and not offending anyone is right speech. 2. Right action : what are right actions? They are the panchshila or five precepts: avoid harming living beings; avoiding taking what is not given or avoid stealing; avoiding sexual misconduct; avoiding false speech; avoiding intoxicants. 3. Right livelihood: earnings from noble source only i.e. Not earning through killing, stealing or cheating, or from any other immoral source. Right livelihood is necessary as it affects our daily life and can hinder our efforts at right speech and action. Also it is very difficult for salespeople to sell without some lies and some businesses cannot survive if shortcomings of their product or services are made public. Choose your livelihood wisely. 4. 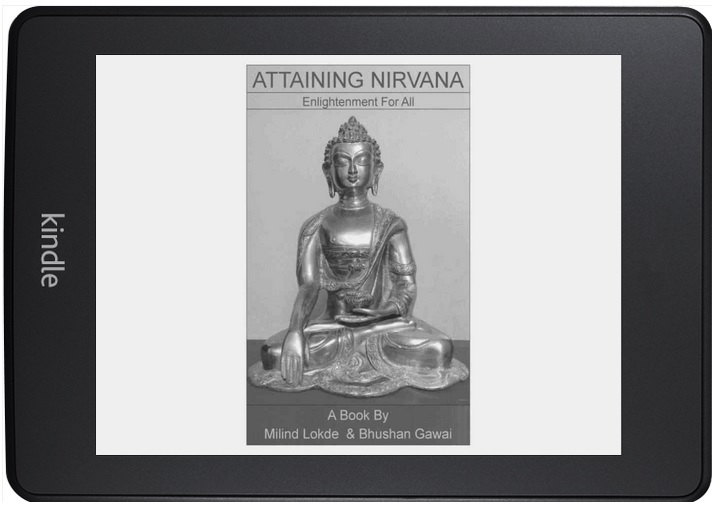 Right effort: putting right amount of effort to achieve nirvana. Very little effort will take us nowhere and too much effort can lead to disappointment and lack of faith in achieving nirvana. Also right effort is avoiding bad karma. Right effort is preventing further bad karma from arising. Right effort is developing good karma. Right effort is maintaining good karma that has arisen. 5. Right awareness: what is right awareness? What are we not aware of? Right awareness is being always aware of what we are doing. Basically it is avoiding day dreaming. But it is more than that. Usually while walking, sitting, driving and all the time we are awake, we are not aware what we are doing, how we are walking, sitting, speaking, etc. But why is awareness so necessary? It is mostly due to not being aware that we do evil karma. Also it is because of no awareness that we do karma and become aware only after we have done it. Awareness is also necessary to follow the 8-fold path and hence also necessary to achieve nirvana. Right meditation or concentration: It is very difficult to meditate. Is meditation really necessary to achieve nirvana? We do not have time to meditate for long period. We also cannot meditate for long period as our daily life doesn’t give us enough time to practice such meditation. Actually awareness is a type of meditation. It can and should be enough to replace the need for meditation. But awareness cannot give us finer control of our mind. Only meditation gives us higher level of awareness of working of our mind also known as meditative states or jhanas. Meditation makes us aware of what, when and how our sensations transform into thought and thought into action. Thus meditation makes us aware of our karma which is the base for nirvana. Most people doubt the effectiveness of meditation as the results are not as dramatic as they expect. Only long periods of meditation has any accountable effect. Then is it that laymen cannot really be benefited with little meditation every day? Actually everyone can be benefited from meditation, only that the benefits of meditation can be seen only through awareness in regular life. As I have already said awareness is a type of meditation and not just that, without awareness meditation is of very little use. This is the reason why people cannot see the effect of meditation. But like meditation, awareness is also difficult, but can be mastered with determination and discipline. i.Four noble truth – that there is dukkha, that desire is the root cause of suffering, that there is cessation of suffering and suffering can be conquered by following the 8-fold path. Right thought: I have intentionally interpreted this for our thoughts as a “shila” or morality to complete the chart and also to emphasize the importance of our thoughts in our karma. But it is now time to explain the actual meaning of right thought. That our karma affects our future life. That nirvana can be achieved by anyone who follows the path. That we are ourselves responsible for our future and it does not depend on an external being. That attaching to everything impermanent causes dukkha. That there is dukkha and we must realize dukkha as it is. That there is no permanent soul and there is no substance in identity. One of the best ways explained about Nirvana!